The QuantifEye® Program features EyePromise® Nutraceuticals, the QuantifEye MPS II, and ESP EyePromise Support Portal. ZeaVision has been implementing the QuantifEye Program since 2006, and manufacturing the highest quality nutraceuticals since 2001. Since 2006, QuantifEye has been the industry-standard instrument to measure macular pigment optical density (MPOD). With more than 4-million eyes accurately measured, QuantifEye is scientifically-validated through several clinical studies, and continues to lead the market with the introduction of MPS II – the next generation in macular pigment screening. The QuantifEye MPS II can be purchased, or incorporated into lease and lease-to-own programs. ESP is our complimentary program that includes marketing support, and e-commerce tools for in-practice and online ordering. 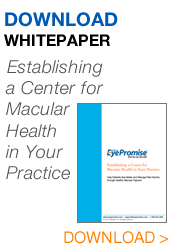 ZeaVision is committed to the QuantifEye Program success for your patients and your practice. Click here to get more information on the QuantifEye Program 60-Day Risk-Free Evaluation! See the QuantifEye® Program in action in the video below! As part of the QuantifEye Program®, you can try the QuantifEye MPS II in your practice for 60-days, risk-free. Additionally, the QuantifEye can be purchased or leased, and ZeaVision offers several options and programs to suit all types of practices. Email Customer Support or call toll-free at (866) 833-2800 for more information on the QuantifEye MPS II.